All smiles are contagious and possess gratifying qualities that yield emotional responses. When you smile, you invoke a sense of sociability, resulting in favourable first impressions of you. They also elicit a sense of recompense when we receive them from others. Long before humanity made enough progress in the medical and psychological sciences to discover the benefits of a smile, humans understood the hidden power of this simple gesture; associating it with feelings of happiness, positivity, and content. For instance, Da Vinci’s Masterpiece “Mona Lisa” still continues to be one of the most famous paintings of all time. The reason: her smile. Seen as the focal point of the painting, her smile evokes a plethora of feelings, catapulting this particular painting’s value; and the facial expression that started it all, beyond just artistic. 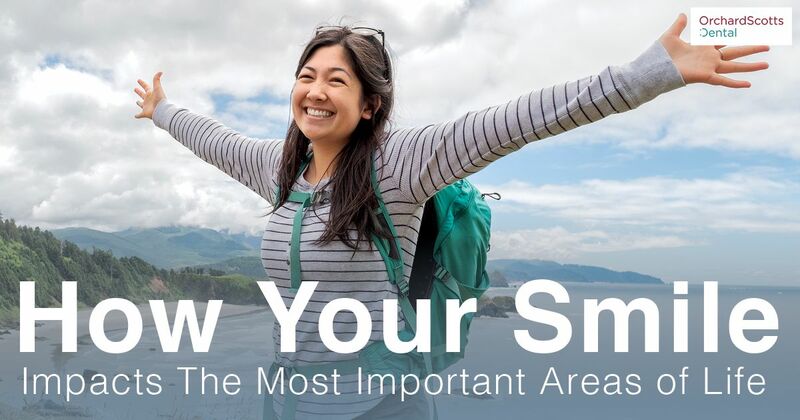 Deep advances into medical technology have provided us with a chance to provide irrefutable scientific data that reiterates the well-known fact – smiling is actually good for you, even when you’re faking it. Experts are now unified in the belief that a smile correlates to one’s maximum positive emotional content with many studies to back this up. When you face a positive situation, the neuron signals travel from the cortex of your brain right to the oldest evolutionary part of your brain: the brainstem. From there, the cranial muscles are tasked to carry the signal further towards the muscles of your face that are responsible for your smile. Once the smiling muscles contract, the neurons take up the cue and relay the positive feedback back to the brain. This creates a feedback loop, reinstating our feelings of joy. Thus, overtime, studies have only further reinforced what was perceived by scientists long before technology afforded them insight into the human mind. Charles Darwin, famous for his work on the Theory of Evolution, observed that the act of smiling actually makes us feel better – contrary to the common perception that smiling is a consequence of feeling good. In a study conducted by a university in Munich, Germany; the patients used functional MRIs to find that facial feedback (such as smile imitation) has the power to alter our neural process of emotional content – concluding that the area of our brain responsible for happiness is activated when we smile. In another study, smiling was observed to beat chocolate as the most effective pleasure-inducing stimuli. Researchers found that one smile was able to provide the simulation of more than 2000 chocolate bars (!). Equipped with an electromagnetic brain scanner and a heart-rate monitor as their modus operandi, the researchers further found out that smiling is as positively simulating as receiving approximately SGD $28,291 in cash. Even if you’re not genuinely happy, a fake smile has the potential to bolster your mood and make you feel better. People look better when they smile. This is not just hearsay, but a claim that is backed up by statistical evidence. A smiling face is subjected to extremely different treatment. A study by Neuropsychologia reported that a smiling face is linked to attractiveness and trust. A smile activates the orbitofrontal cortex, the region of your brain tasked with processing sensory rewards. A smiling person actually feels rewarded, relaxed, and sincere. When you view a smiling person, you are programmed to feel rewarded. Each time you smile, it releases the neuropeptides that work towards fighting off stress. The neurotransmitters responsible for feeling ‘good,’ namely dopamine, endorphins, and serotonin are released every time you flash a smile – resulting in the stabilization of your heart rate, and blood pressure. Additionally, the endorphins act as a natural pain reliever – devoid of all negative side effects – to help you heal. The serotonin released by a smile also serves as an anti-depressant, lifting your mood up from whatever is causing a frown. With a smile, you don’t have to worry about a prescription. A smile is also likely to up your impression on the opposite gender, as a study conducted in the University of Aberdeen reveals. Several hundred undergraduate students rated faces for sexual attractiveness – and smiling faces were the clear winner! ‘There is more to a smile than what meets the eye’, is more than just an expression. Smiling actually elicits positive responses from people, and more often than not, they are likely to smile back. The part of your brain that is actually responsible for your smile resides in an unconscious, automatic response area, the cingulate cortex. There was a Swedish study conducted to test this, and participants found it very hard to frown when presented with a smiling picture. The study concluded that people tend to imitate facial expressions. If seen holistically, each time you pass a smile the other person’s mind manipulates them to pass one back. A beautiful smile impacts your confidence, lifestyle, and social life. When a person is focused on hiding their smile, their personality may come across as negative and unwelcoming. Have you ever come across people who don’t smile? These people are perceived to be very off-putting, even though they might be one of the kindest people you know. Adequate maintenance of oral hygiene is not only imperative to your health but also important for your social life and relationships. Bad oral hygiene or crooked teeth hamper your confidence and have an adverse impact on your life and self-esteem. Orchard Scotts Dental is an aesthetic dental clinic that provides holistic smile makeover solutions; including teeth straightening in Singapore with Invisalign, replacing missing teeth using dental implants and other signature dental services. From laser contouring to aligning your teeth with Invisalign – our aesthetic dentists use tried and proven treatment methods to give you a beautiful smile. Our approach is the reason we are providers of the non-invasive Invisalign system. Having spent years providing our clients with beautiful smiles, we understand that a beautiful smile is much more than just correctly aligned teeth – it is achieved through harmony between your teeth and gums, all the way to your unique facial form. Get in touch with us now or call us at +65 6732 9939 / +65 6734 0739!